Brithem had substantial cob repairs and a large number of structural timbers replaced including the inglenook beam. The final touches were the re-rendering and lime washing of the property. 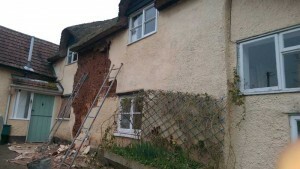 In this photo, we have begun to remove the old sand cement render. 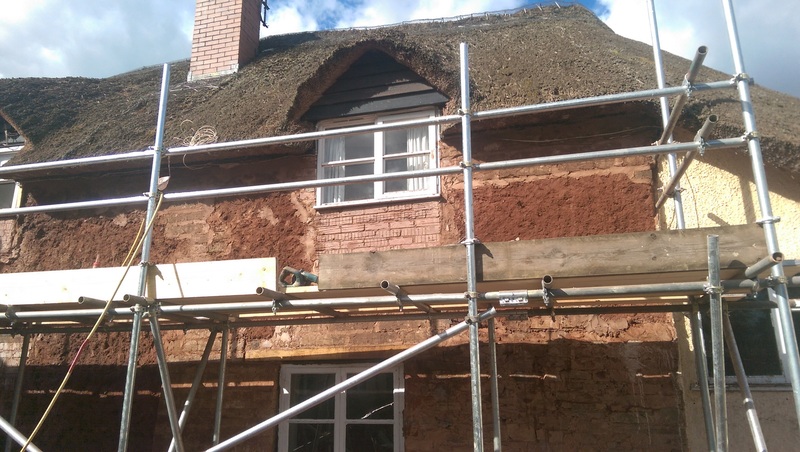 This shows the property with old sand cement render removed, ready for repair to the exposed cob and once this has been completed, for lime rendering. 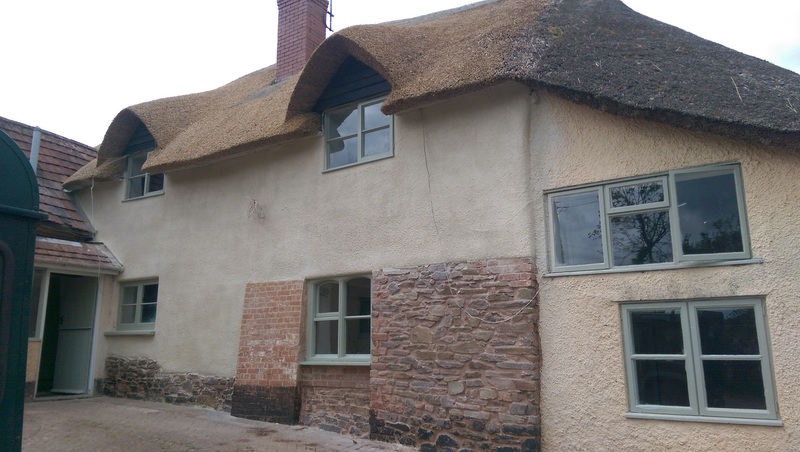 The completed external works on the property with a lime render finish. 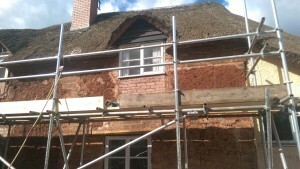 This job also included the replacement of windows and extensive internal repair work. 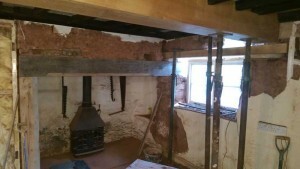 Fire place prior to restoration. 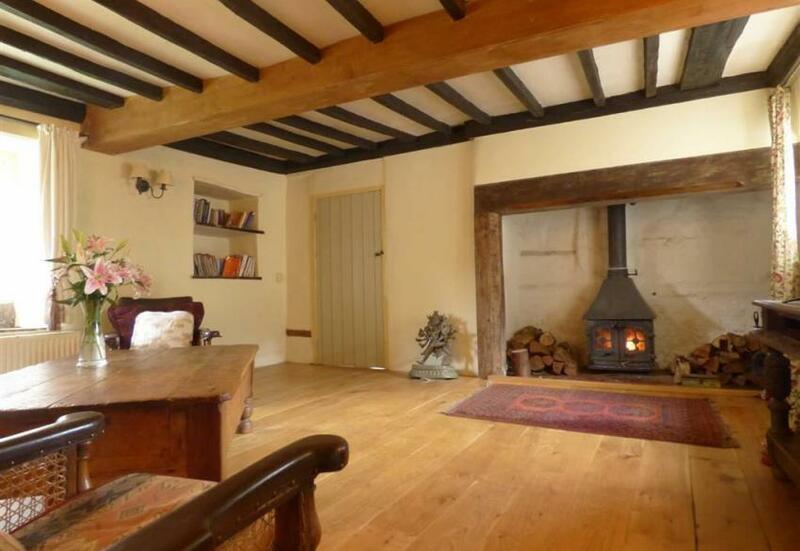 New oak lintel recently installed. Fireplace at Brithem Bottom after restoration.